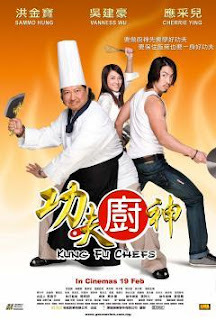 Joe and I went to watch Kung fu Chef yesterday. I am all excited and can't wait to watch a Cantonese movie in Perth! I was thinking to myself, how rare it is to have chinese movie play in cinema here, so i must watch it on the 1st day it started showing. After watching it, I was so dissapointed. The movie is so poorly done. It's not funny at all! I paid freaking 12bucks to watch this movie.